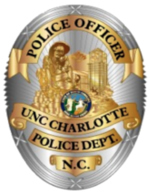 To file a complaint against a UNC Charlotte police employee, please fill out the form below. Although it is helpful to know the identity of the person filing the complaint, it is not required. If you would like to be contacted, please remember to provide accurate contact information.